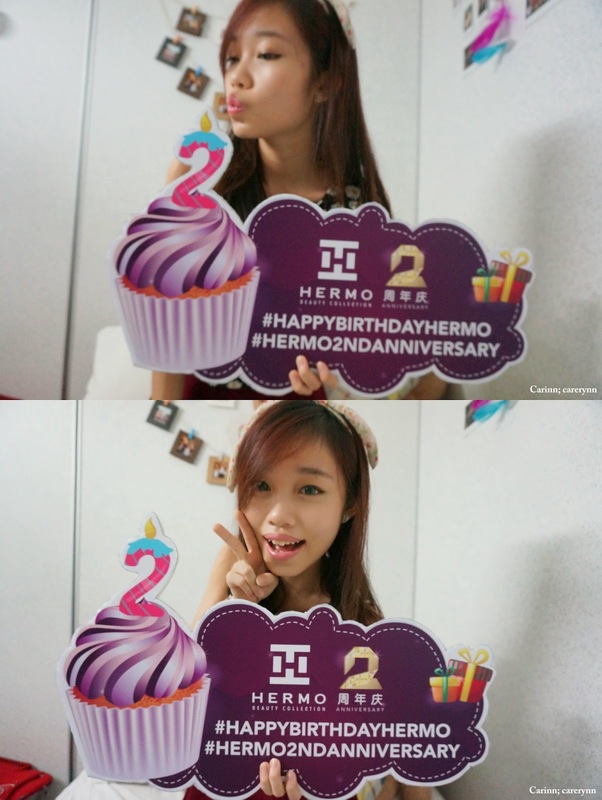 Carinn; carerynn | Malaysia Fashion, Beauty & Lifestyle Blog: Shopping: Hermo 2nd Anniversary SALE! 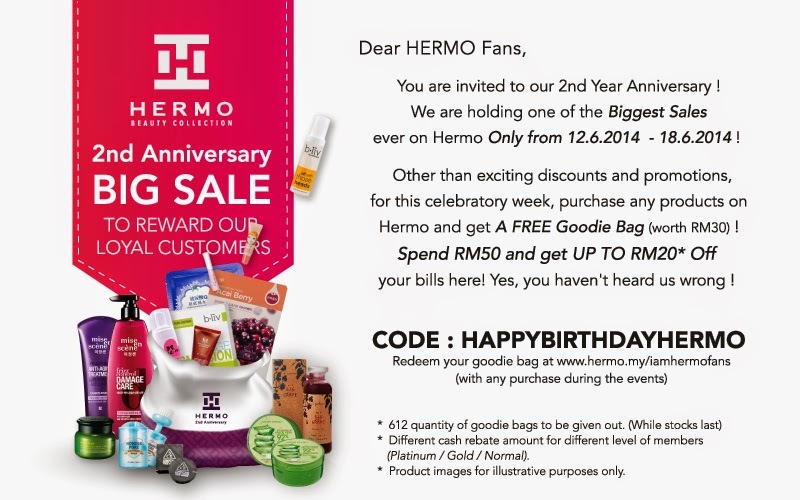 HERMO will be having their 2nd Anniversary Sale and YOU'RE INVITED! If you keep up with me, you'll know that Hermo is actually one of my fave online beauty sites to shop at! I've actually shared on Instagram and blogged about them several times (here, here and here). Ever since I discovered it's existence last year, I've been getting cosmetics and skincare from international brands from their site. Which is why I'm so excited to know that they're holding one of the Biggest Sales ever on Hermo only from 12th - 18th June 2014! It's the biggest party of the year. Good things are meant to be shared and Hermo is so generous to give out these good deals to share with all you girls (and boys) on their birthday! 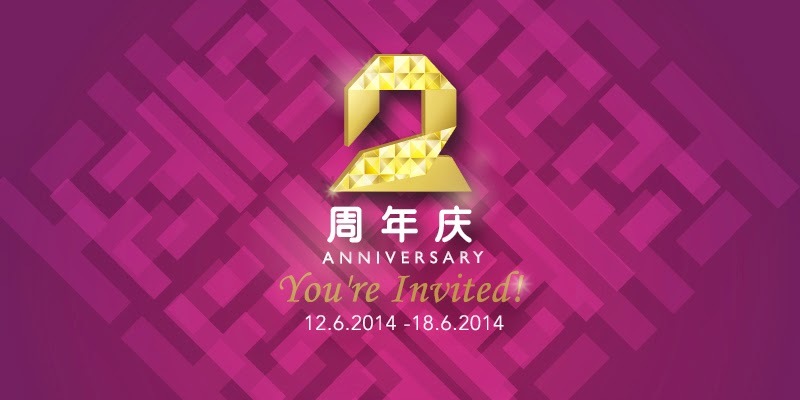 Get exclusive discounts on brands like Skin79, SHILLS, YADAH, b.Liv, 3CE, Nature's Republic, Etude House and more! Time to restock my fave BB cream, heh. Not only will there be exciting discounts and promotioins on your favourite brands, 612 FREE Goodie Bags worth RM30 will be given out when you purchase any of their products. I already have a few items in mind that I plan to purchase, hehe. You should start thinking about your wishlist too, and start saving money to prepare your shopping list on Hermo! Don't miss out!